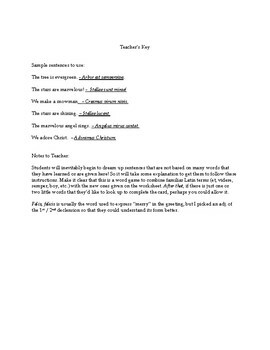 This lesson is one that I have used with groups of Latin students who have studied at least the use of the nominative and accusative cases. Ideally they should have learned 1st, 2nd and 3rd declension nouns and 1st and 2nd conjugation verbs. 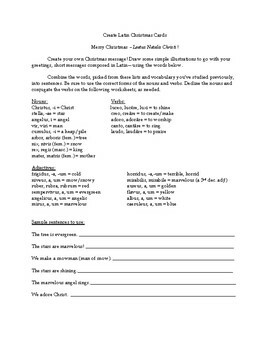 This file includes a list of vocabulary that is ideal for creating Christmas messages, along with some sample sentences to use. There is a key on the final page.